Tenjin is excited to announce it allows mobile app developers to include ad revenue attribution in their user LTV and ROI calculations. To some app developers, ad revenue can represent a good chunk of revenue. Most LTV calculations today are based on in-app purchases, but more than 20% of total LTV can come from showing ads to users. Tenjin allows developers to aggregate ad revenue directly from their ad networks and tie it to each of the users they acquire. The system breaks Total Lifetime Value into two buckets: in-app purchase LTV and ad revenue LTV. As you can see above, customers now have the ability to get a clearer picture of LTV from each of their user acquisition sources. Does your Facebook install LTV come mostly from ads or from IAPs? "While working at Tapjoy we discovered a hidden secret that app developers consistently misunderstood. Sometimes cheap users from incentivized downloads had the highest ROI for apps because these users generated a lot of Tapjoy ad revenue for the dowloaded app. Many app developers didn't know this and turned off campaigns that looked like there was no ROI. The issue was the developer never accounted for revenue generated by showing ads." says Christopher Farm, a former PM at Tapjoy and CEO of Tenjin. Increasing the accuracy of LTV calculations has a beneficial side effect too. 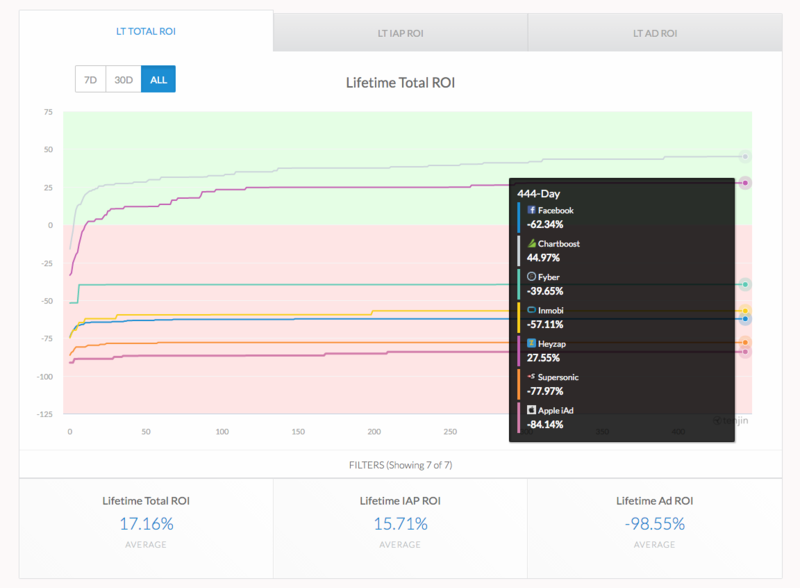 Now there is a more accurate way to calculate ROI and days to breakeven. 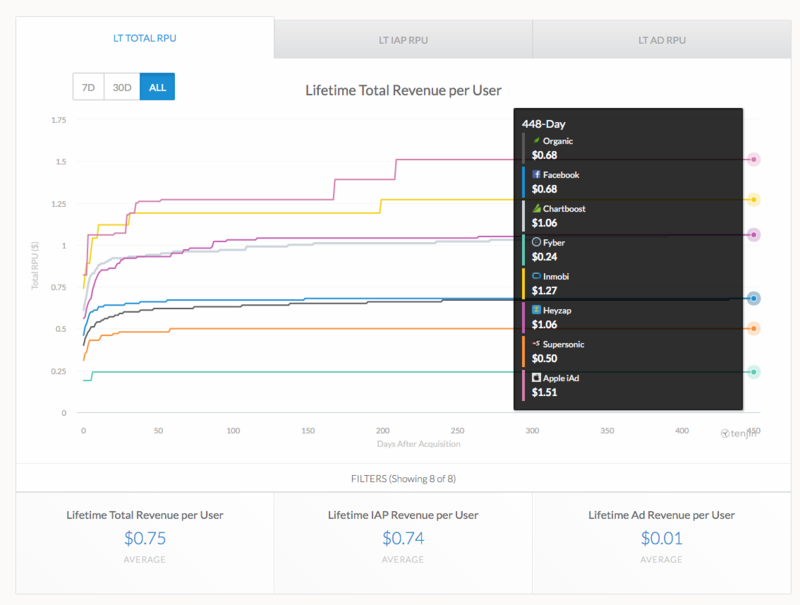 Tenjin now calculates Breakeven days, Total ROI, In App Purchase ROI, and Ad Revenue ROI by acquisition source. No one else in the industry does this in an automated fashion and Tenjin is proud to offer this to the industry.